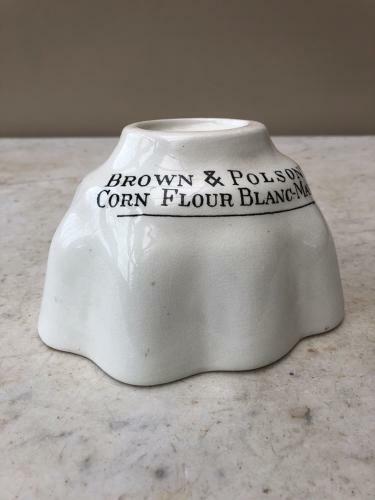 This is the rare size and shape Brown and Polson's Corn Flour Blanc-Mange Mould. Very good condition. Recipe one side and writing the other.